The Clinton County Homeless Shelter held its annual meeting on Jan. 24at the General Denver Hotel. The board welcomed new board member Becky Boris, who is serving a three-year term. Officers elected for 2019 are: President Dan Mayo, Vice President Nancy McCormick, Secretary Sandy Broderick, Treasurer Molly Dullea, Assistant Secretary Joy Brubaker, Assistant Treasurer Billie Baker, and Pam George, Jonathan McKay and Becky Boris. In 1988, the Clinton County Services for the Homeless — “the Shelter” — opened its doors and became the first emergency shelter in a rural Ohio community. 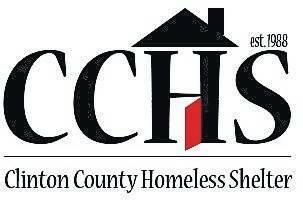 The support of our Clinton County Community has enabled the Shelter to continue its mission of providing emergency shelter, compassionate care and support to the homeless and underprivileged while remembering each resident is a person of worth for 30 years now! The challenge of finding full-time sustainable employment that can support an individual and/or family is challenging for those who have become homeless. Loss of transportation, lack of affordable childcare, separation from a spouse, illness, and injuries are among some of the many hardships that the homeless experience. Those whom the Shelter serve not only receive a temporary place to stay, but also encouragement and access to the basic tools needed to help them regain their independence and dignity. The Shelter’s ability to help those in need depends on funding from various sources. The Ohio Development Services Agency Homeless Crisis Response Program (HCRP) emergency shelter grant provides operating funds for the Shelter. Additionally, the Shelter collaborates with four surrounding counties operating as Region 16 and receives funds from the Rapid Rehousing Program (HPRP) Grant. The goal of HPRP is to rapidly move families from emergency shelter into permanent housing. The funding from the grant enabled the Shelter to find homes for 19 people during the last year. While grants from governmental sources provide stability to its work, the Shelter could not operate without the amazing support it receives from the local community. The Wilmington Area Ministerial Association continues to support the Shelter along with numerous local Churches, businesses, service organizations and individuals. The Shelter also benefited from community giving through funds awarded by the Clinton County United Way in 2018. • The Board of Realtors sponsors the Day of Caring pancake breakfast held each year the last Sunday in February at the Wilmington Friends Meeting. • The Wilmington AM Rotary Club works tirelessly in organizing and sponsoring the Cardboard City event held annually the third Saturday in September. • AM Rotary also sponsored CANstruction in April of 2018 to generate food items for the shelter food pantry. • The staff and board members of the Shelter, with help from many others, hold a soup fundraiser each year in the spring and fall. The Shelter continued collaboration with the Cincinnati Food Bank in conjunction with the local Walmart store and the Feed America Program in 2018. Volunteers organize efforts to pick-up the donated food and distribute it to the Shelter as well as other local organizations that help feed those in need. In 2018, 350 Clinton County households benefited from the Shelter food pantry with assistance from the Feed America Program and donations from individuals, churches, families and businesses. Three days a week, volunteers deliver food from the Feed America Program to Churches in surrounding Villages in Clinton County. On June 30, the shelter celebrated its 30-year anniversary with an open house. The opening of the donation center was celebrated the same day. Clinton County Homeless Shelter board members, staff, and local supporters were present for the celebration and ribbon-cutting presented by the Chamber of Commerce. The Shelter’s nine volunteer board members meet monthly to oversee operations of the Shelter and volunteer numerous hours each year. The Shelter employs four full-time and five part-time staff members covering shifts 24 hours seven days a week. In addition, previous and current residents of the Shelter “pay it forward” by sharing their time and talents to volunteer at fundraising events, to help maintain Shelter property, and to lend a hand wherever needed. In 2018, we provided a home for 206 people, including 34 children. Residents spent 6,591 total nights at the Shelter. During their stay, residents received a total of 32,955 meals and snacks. Clinton County is a wonderful place to live and work. The Shelter board and staff thank each of you for your continued support in 2018 and beyond!